Sale Bar Code Brushes and PSD Pack - Free Photoshop Brushes at Brusheezy! Getting ready to have a sale on your online shop or website? Use this new Sale Bar Code Brushes and PSD Pack to let your customers know what's on sale. Use these 50% off bar code brushes, Best Offer code PSD, and more to mark which of your products has the best value. Included in this pack are twenty seven different rainbow and black and white sale bar code brushes and PSDs. Rather have the vector pack? 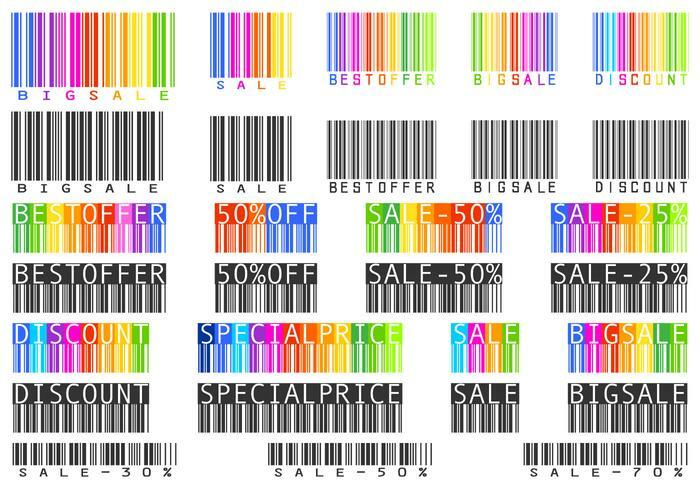 Download the <a href="http://www.vecteezy.com/shopping/58522-sale-bar-code-vector-pack/premium">Sale Bar Code Vectors</a> over on Vecteezy!